It's big and tall, but the titanium case will be light and relatively comfortable. The crown at 12 intrigues me, though I'm guessing you'll have to take it off to set it, which is probably annoying in a GMT. 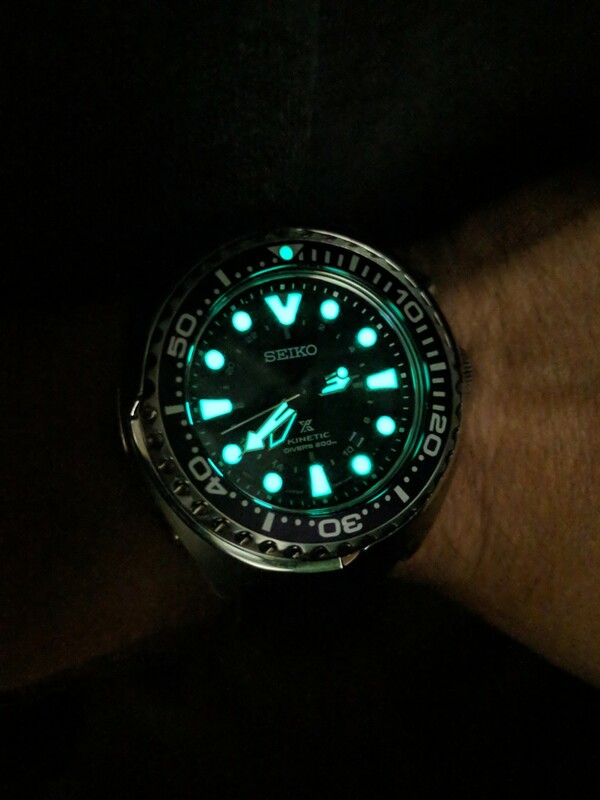 I usually think Seikos have ugly hands, but these are simple and attractive. And it's a personal thing, but I'm always annoyed when manufacturers don't match the dial and date wheel; the black on white in a black dial just bugs me. Spring Drive is just cool. For the price, it's probably a solid buy. 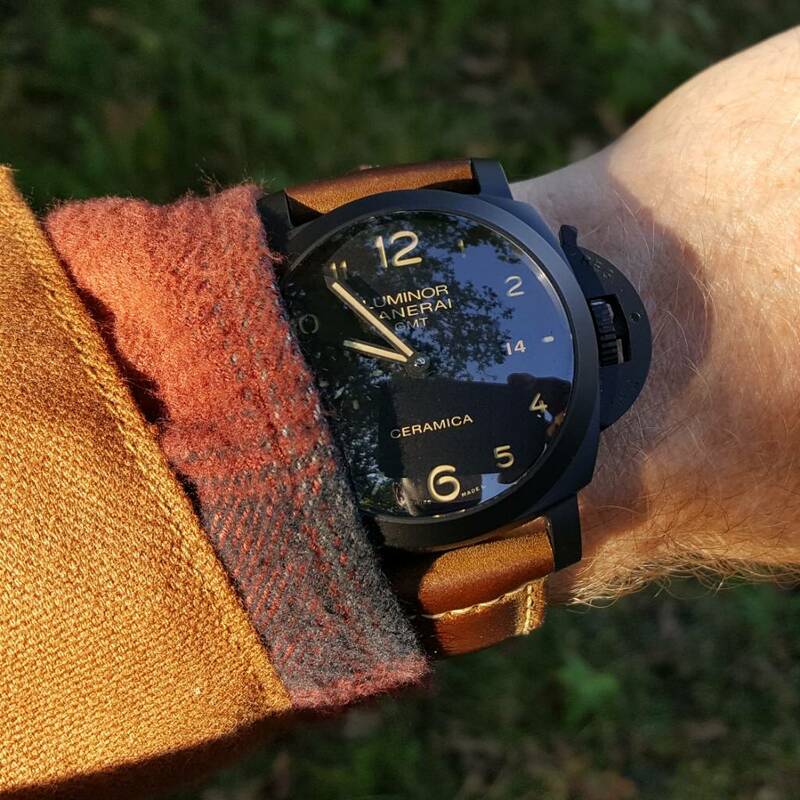 Thanks for the input guys and thanks for the reminder that I don't need this watch @Chris! Here's the monstrosity that arrived today. 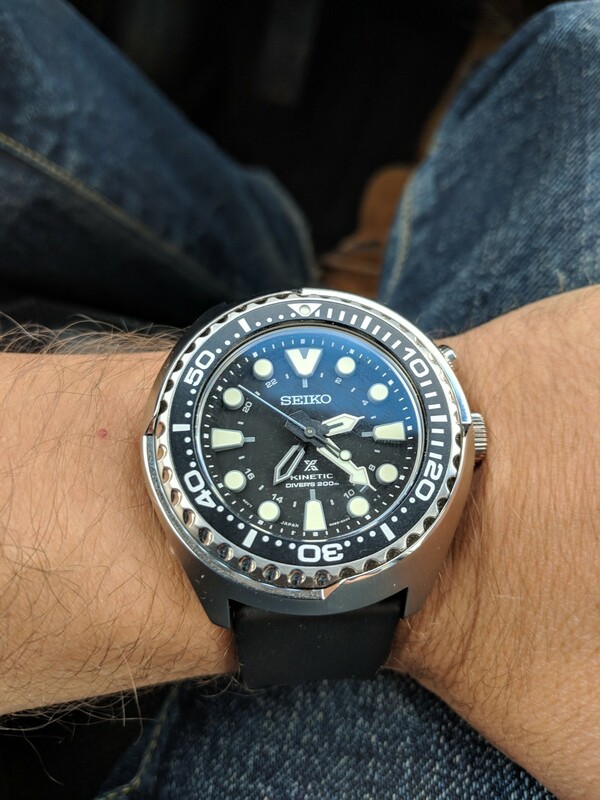 I think I'm good on GMT now, this is what I wanted, and the ruggedness (including sapphire crystal, rare in Seiko divers) is more of a benefit than the dive readiness. 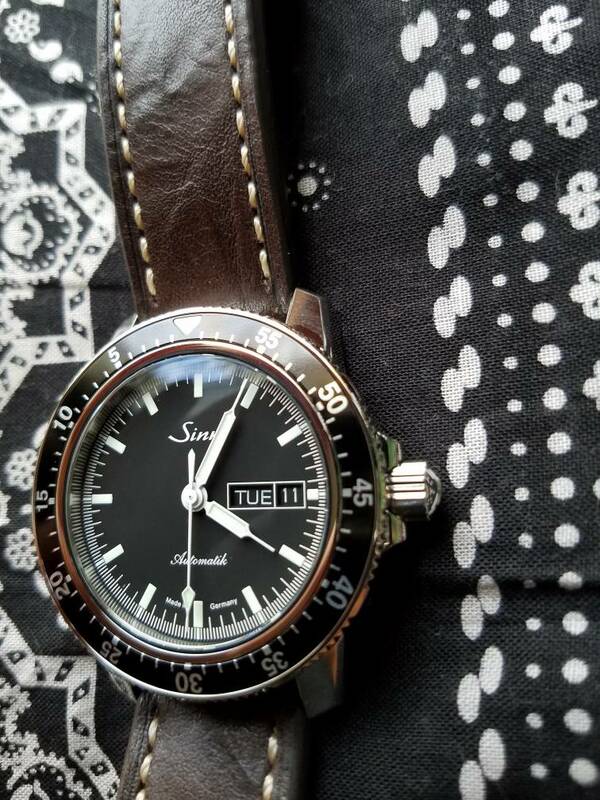 The dial has a lot of depth, including really deep lumes, and I dig the radial brush finish on the case--reminds me of the Omega Bullhead case. 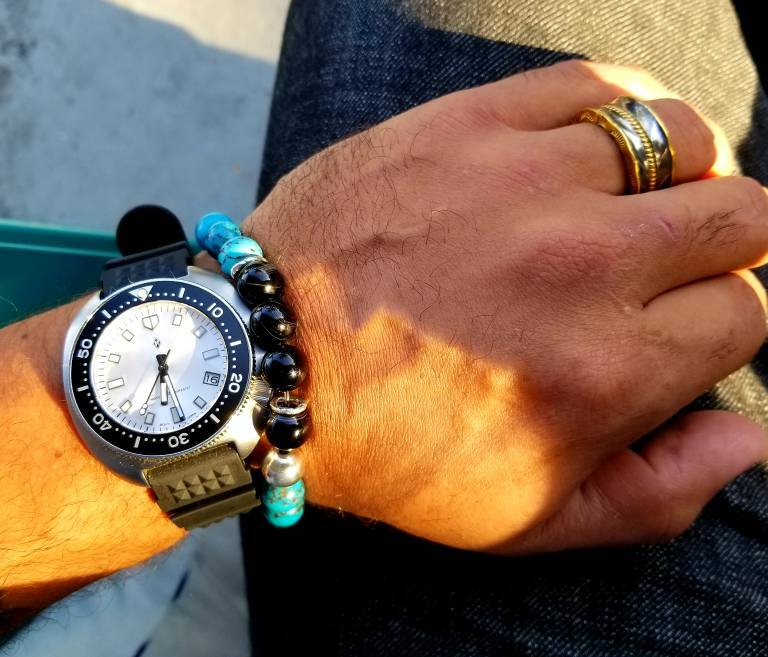 I fitted a reversible rubber strap but really like the bracelet for most of my daily use. 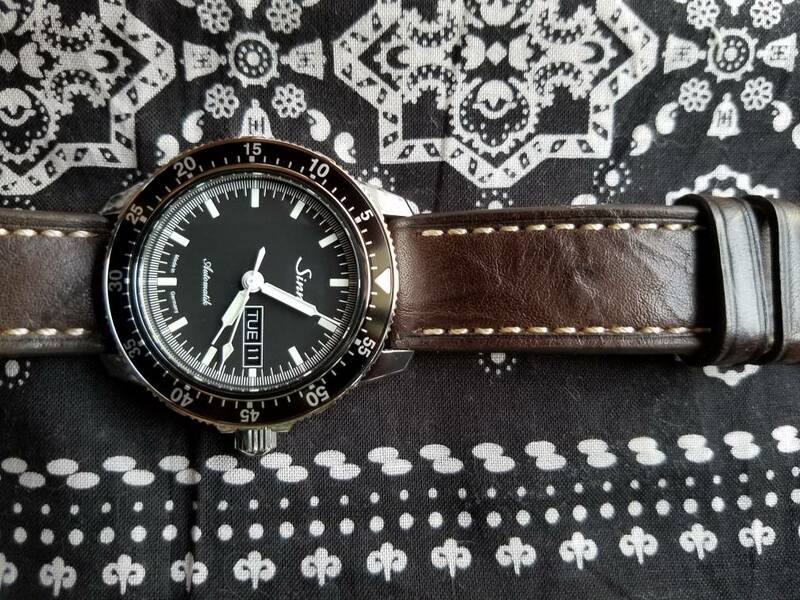 Very pleased with my first diver! 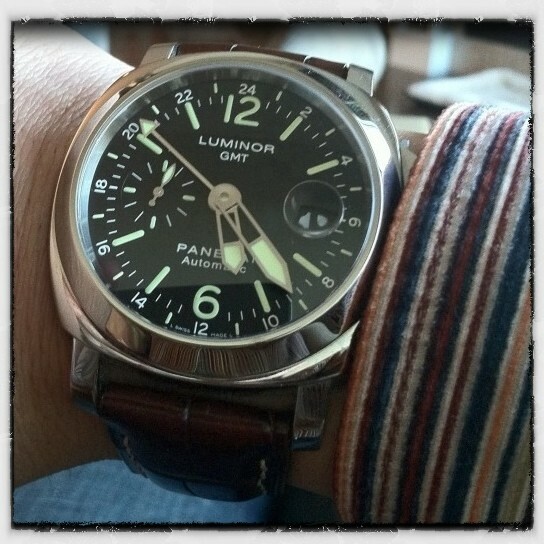 I like that Landmaster, reminds me of when they used to attach straps to pocket watches. Even after handling Tudors and Omegas these past few days, I was far from underwhelmed when my new 104 showed up today. Impressed with the smooth sweep of the seconds hand--I knew they tweaked the stock eta, but wasn't expecting to visually notice. Just found some more straps. I'll be putting these with the rest. Still in the honeymoon phase with this one. Love that Mare Nostrum! 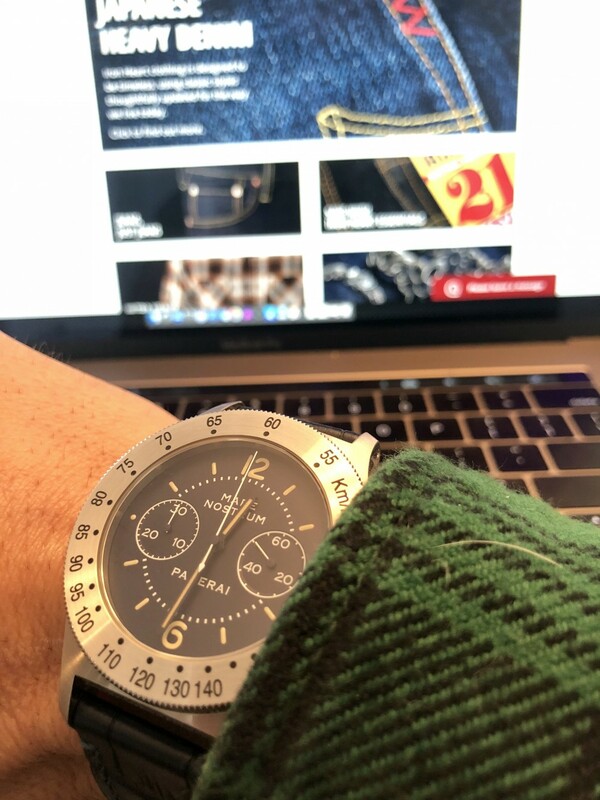 MY only chronographs have been the 3 dial layout and I really have come to love a vertically symmetric two dial setup like yours. ^ I hear you. 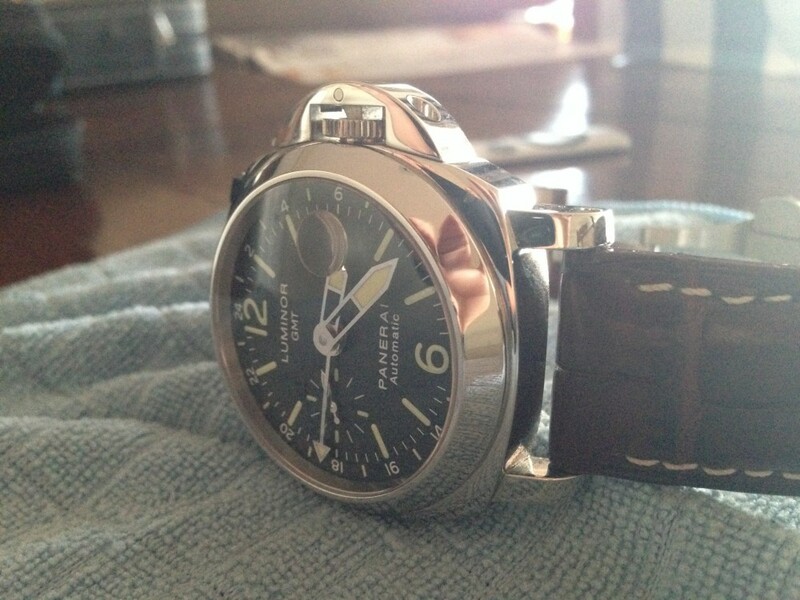 I love divers and chrono’s, but I really love all watches. They’re like tiny little worlds unto themselves! 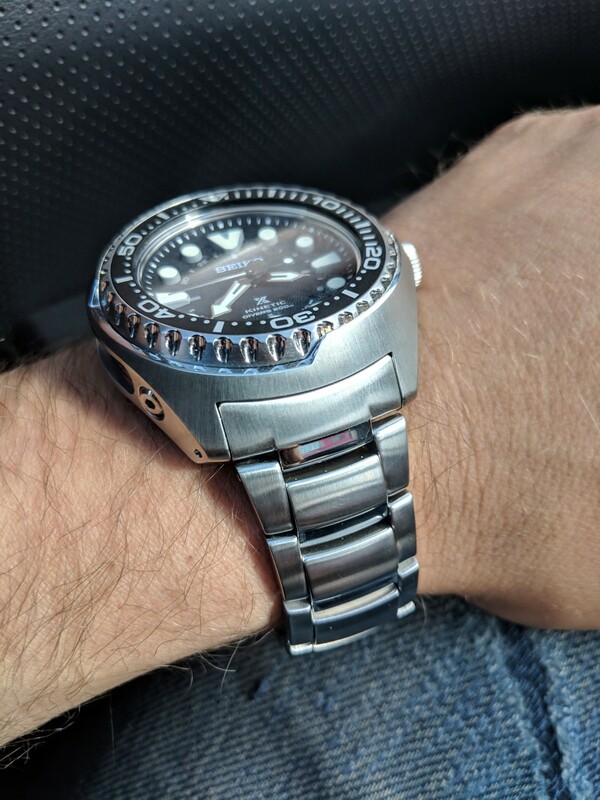 I've noticed my new Seiko's sapphire crystal picks up schmutz more than other sapphire crystals in my collection, including another flat one. Do they sometimes place oleophobic coatings on them or could therr be another reason for this? Sweet Pam's. I'm wearing a 441 today. I've noticed the smudges and schtuff with bigger dials I may try to put some Dr. Beasley Glass Waxx to see if it helps. Dr. Beasley products are great BTW. Now that I think of it I should use it on my glasses too. Fratello Watches have a review of the Rolex and Tudor Pepsis. 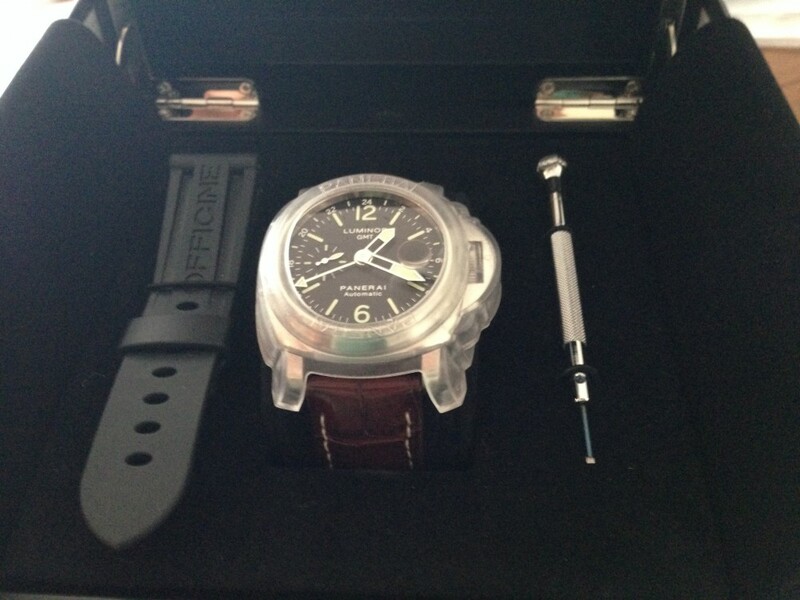 Worn and Wound review the Alpina Startimer, which is a neat looking piece in a cushion case. 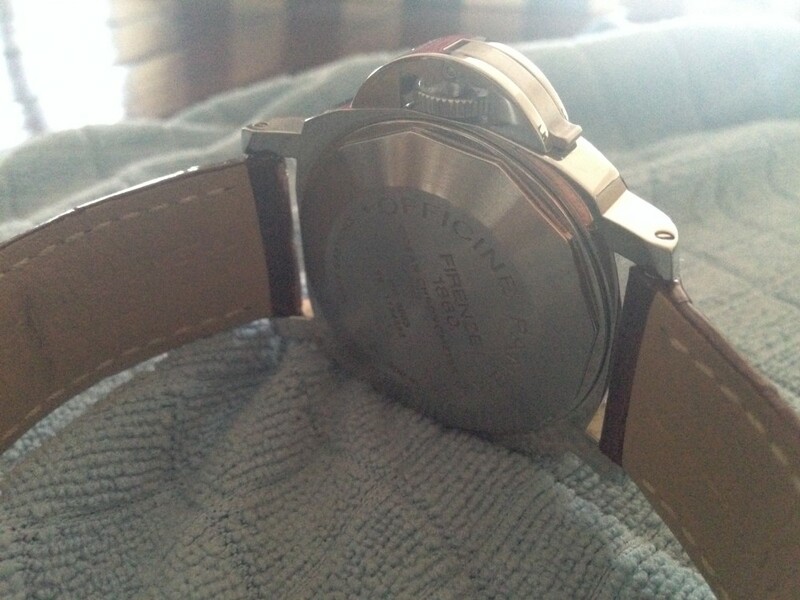 And the very clever Longines Conquest VHP GMT, a high precision quartz with an app to set the time. 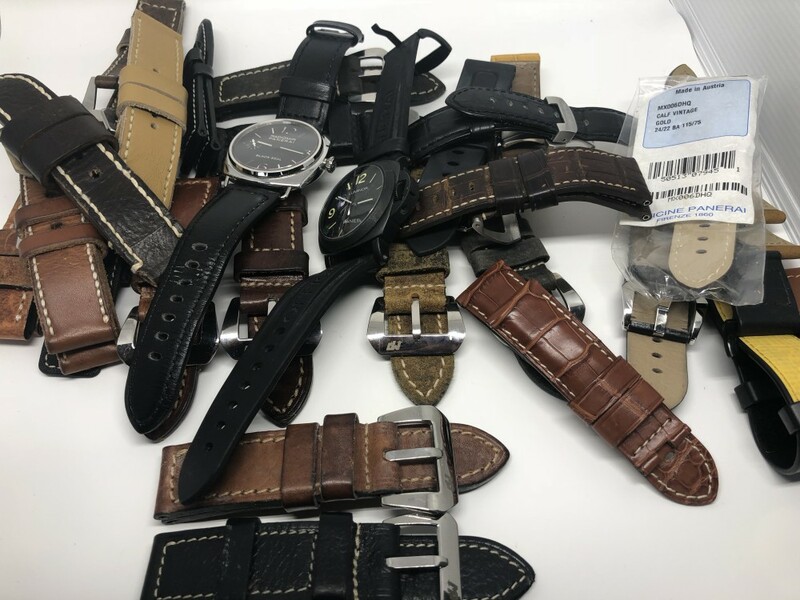 The Fratello piece is interesting because it calls out Rolex for its failure to supply watches, and the associated behaviour of dealers that's a consequence of this. I'm not used to journalists criticising brands, particularly as I get the impression that their websites are funded by them.